In March 2014, a money laundering network was discovered in a car wash in Brasilia. It was the tip of a giant iceberg of corruption. The epicenter of the political earthquake that punishes Latin America for years was initially located at a service station in Brasilia, a few kilometers from the Presidential Palace of Planalto and the seat of Congress in Brazil. In that service station that included a car wash (“Lava Jato”, in Portuguese), the investigators of the Brazilian Federal Police discovered a money laundering network that seemed to involve different politicians. But the true dimension of the operation, which just turned five years old (started on March 17, 2014), was coming to light in a few droppers in the following months. The case “Lava Jato” is considered today as the largest anti-corruption operation in the history of Brazil and has profoundly changed the South American giant, until a few years ago one of the global emerging powers. The operation, which began investigating a corrupt plot in Brazil’s state oil company Petrobras, also spills over several countries in the region, where it has already produced strong political scuffles in countries like Colombia and, above all, Peru, where several former presidents are accused. In Brazil, the scandal continues to shake the foundations of the political and economic elites of a country in permanent crisis. The “Lava Jato” made “a portrait of a corruption that has deep roots in our history”, explained in 2017 Deltan Dallagnol, one of the prosecutors in charge. Among those involved are powerful businessmen such as the former CEO of the construction company Odebrecht, Marcelo Odebrecht, or former president Luiz Inácio Lula da Silva, the most famous defendant, imprisoned in Curitiba for almost a year. Since the operation was initiated 5 years ago and 4 days ago, the Justice has already handed down a sentence in 50 trials and given 242 convictions against 155 people. The sum of the sentences totals 2,242 years and 5 days. Lula, an icon of the left for the success of his two terms between 2003 and 2010, was sentenced in second instance, in April last year, to more than 12 years in prison for having received a luxurious apartment in the seaside resort of Guarujá. , in San Pablo, as a bribe for having favored a construction company in public works, according to the judges. In addition to former conservative president Michel Temer, arrested Thursday in Sao Paulo, dozens of deputies, former governors and officials are also investigated. Two other Brazilian ex-presidents, Fernando Collor (1990-1992) and Dilma Rousseff (2011-2016), both dismissed by Congress, are being prosecuted in proceedings equally linked to Lava Jato, while a third party, José Sarney (1985-1990) ), was accused of receiving bribes for facilitating contracts rigged with a subsidiary of Petrobras, but so far he does not respond to any trial. 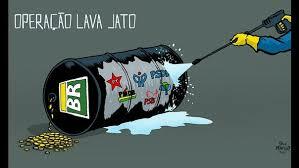 According to the investigations, the corrupt scheme worked mainly around Petrobras, located at the center of the Brazilian economic boom of the past decade due to high oil prices. Numerous private companies systematically bribed officials and politicians to secure contracts with the state giant. That modus operandi, the researchers later discovered, extended to other sectors such as construction or food, where the Brazilian business expanded its business in large part thanks to the collusion with the political class. 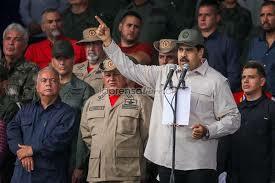 The military high command is the main support of the Venezuelan president. However, there is discontent in low-level sectors of the forces. While the support of a large part of the international community to the oath of Juan Guaidó as “president in charge” of Venezuela delights the opponents of the regime, it is also true that the Venezuelan Armed Forces have invariably maintained their position of support for President Nicolás Maduro. Today the militants are the main base of support that the Chavista leader has. Beyond the internal and external support of the National Assembly and, therefore, Guaidó as president, the possibility that the military high command stops functioning as a shield of Maduro seems remote, at least in the short term. Last week there was an uprising in Caracas by low-ranking officers of the National Guard. However, it is more an isolated event than a concrete possibility of rebellion. The international news agency Reuters, referred to the strategy of Maduro to get the high command of the forces to support the Bolivarian government. In that sense, this media highlighted that Chávez’s successor has appointed officers in charge of key positions in the government and state oil company PDVSA, in addition to having offered them lucrative contracts in services of oil fields of companies linked to the army. There are several episodes that show the strong link between the Government and the high command. During the demonstrations that took place in the Venezuelan streets during 2017, the security forces took a brutally repressive attitude. On the other hand, they gave their support to the creation of the National Constituent Assembly that displaced the Congress, which was in the hands of the opposition. The situation of the low-ranking military, however, is far from being the best. Their salaries, like those of all Venezuelans, suffered declines in real terms due to inflation that reached 2 million percent during 2018. In addition, the military installations are suffering a significant deterioration. On the other hand, according to official documents, around 4,000 soldiers deserted in the last year. Taking advantage of this discontent, since the Venezuelan opposition there are open negotiations with part of the lower level of the forces, to get them to abandon Maduro. However, specialized sources firmly claim that the top brass will remain firm until the president leaves office. Few expected an overnight sensation. Still, January 13th 2018 was supposed to mark a big step towards exposing the European Union’s banking systems to digital competition. 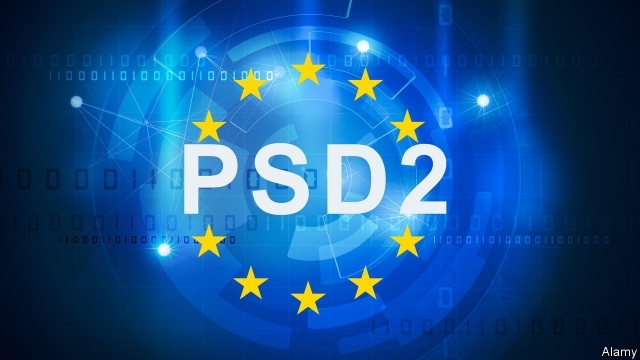 The eu’s revised payment services directive (psd2) came into effect; so did a British variant, Open Banking, the fruit of an investigation by the national competition watchdog. A year on, there is little sign of a stampede to switch banks. Yet progress is quietly being made. In essence, the new rules seek to ensure that digital technology sharpens competition, by loosening banks’ grip on customers’ financial data, but without compromising security. They allow third parties, whether tech firms or other banks, to gather information from several accounts—with customers’ permission—in one place, so that people can manage their finances better. 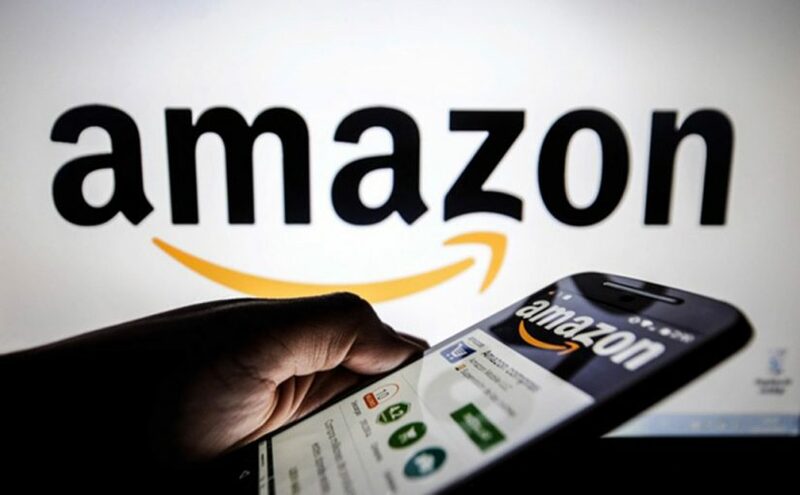 They also make it easier for third-party firms to pay online merchants directly from customers’ accounts. Open Banking is obligatory only for Britain’s nine biggest banks, although others have signed up. Not all of these were ready at the start. “For the past 200 years banks have focused on keeping customer data and not letting anyone else get at it,” says Emmet Rennick of Oliver Wyman, a consulting firm. “In the past year or two they’ve been told, ‘That’s not the game’. But they have improved their act. Some are rolling out their own aggregation apps. The average response time of banks’ apis—the software which gives access to the permitted data—to queries from third parties was halved between July and November. Even so, Jaidev Janardana, chief executive of Zopa, a British online lender, says that the biggest improvement would be a slicker connection between Zopa’s smartphone app and those of would-be borrowers’ banks. (Applicants used to have to send pdfs of bank statements to confirm their incomes; now Zopa can look through banks’ apis.) Only half the applicants who reach this stage complete it: at banks with the clunkiest apps, a mere 15-20% do. How banks’ apis will function elsewhere in Europe is also a thorny question. Until that is answered, “important parts of the political and regulatory landscape will remain unclear,” says Daniel Kjellen of Tink, a Swedish account aggregator. Last year the European Banking Authority, a regulator, drew up technical standards, due to come into force in September. Banks are supposed to have apis in place well before then, so that third parties can test them and regulators approve them. Financial-technology firms worry, for example, that banks will redirect customers to their own apps to authorise the use of data. This could make the process cumbersome and put people off new services. Another concern is that standards may proliferate, raising third parties’ costs and doing little to unify Europe’s banking markets. The Berlin Group, which involves dozens of banks and financial firms, has published a common framework. Some regulators are also promoting national standards. An open question is how much appetite Europeans have for more open banking. People are notoriously loth to abandon their banks. Yet there are signs of latent demand: Yolt, an aggregator owned by ing, a Dutch bank, already boasts more than 500,000 British users; online banks are making a splash. In 2019 banks and upstarts alike may get closer to an answer. President Mauricio Macri said that Argentina is on the right track to forge a strong rebound next year after overcoming a financial crisis in 2018. “Argentina is in a much better situation than 12 months ago,” Macri told Bloomberg TV in an interview on Monday in Buenos Aires. “We have significantly reduced our deficit, next year we will balance the primary budget and we have already financed all our needs through the International Monetary Fund program, which marks a great, big difference,” he said. 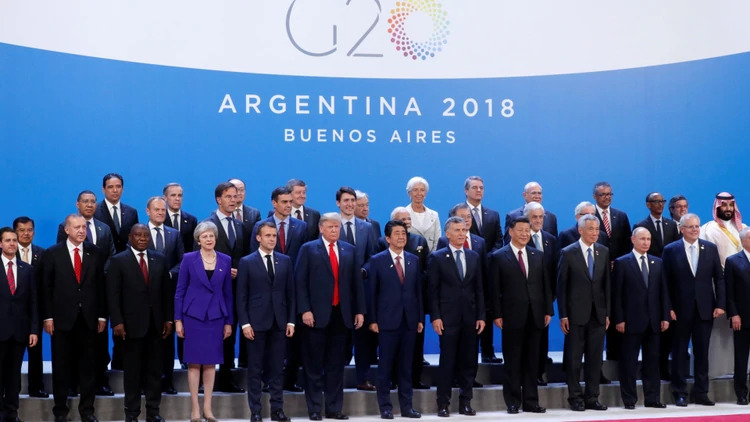 Macri spoke after hosting the summit of the Group of 20 that concluded on Saturday with the agreement of all the leaders regarding the final declaration, unlike the G-7 meeting in June, in which the president of The United States, Donald Trump, withdrew its support. There were no violent protests in the Argentine capital, which contrasted with the incidents recorded in last year’s G20 meeting in Hamburg, Germany, and the US. and China declared a temporary truce to their trade war. More than just a host, the Argentine leader also held a marathon of bilateral meetings with leaders such as Vladimir Putin, Emmanuel Macron, Trump, Xi Jinping and Narendra Modi. Elected in 2015, this year has been possibly the most difficult of Macri. A monetary crisis led the country into a recession and forced the head of state to seek help from the IMF, which granted the nation a record credit line of US $ 56 billion. 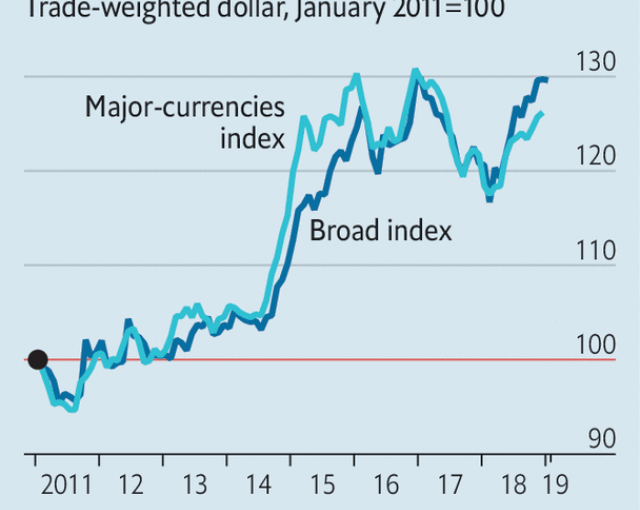 A severe drought, massive sales in the global market, zigzagging policies and communication errors triggered the fall of the peso, which reaches 49 percent this year, the most pronounced of the emerging markets. The economic slowdown puts obstacles in Macri’s path towards reelection next year. The approval of his government is at its lowest level since he took office and consumer confidence fell to its lowest point in 16 years in November. After his government began this year with an inflationary target of 15 percent, prices are expected to rise 47% in December with respect to the same month of 2017, warns Bloomberg. Ecuador anunció este jueves su salida de la Alianza Bolivariana para los Pueblos de Nuestra América (ALBA) en respuesta a la crisis humanitaria en Venezuela, un país del que progresivamente se ha ido distanciando desde que Lenín Moreno llegó a la Presidencia. “Ecuador no continuará su participación dentro de la ALBA”, anunció hoy el ministro de Exteriores, José Valencia, en una comparecencia en la que explicó que con ello su país quiere “reforzar” la búsqueda de una solución al problema político en ese país y al masivo éxodo de venezolanos. La decisión fue anunciada en un encuentro de varios ministros ecuatorianos con medios de comunicación en el Palacio de Carondelet, sede de la Presidencia, donde se abordaba el problema del masivo flujo de venezolanos que han llegado al país desde comienzos de año. Valencia destacó que se trata de un problema que no puede “ser encarado por un país individualmente”, sino que exige “una respuesta de todas las naciones de la región”, y que la salida de Ecuador de la ALBA lo que trata precisamente es de impulsar esa solución. “La salida de ciudadanos venezolanos de su país es consecuencia de la crisis económica y política de Venezuela. Las repercusiones son regionales, sin embargo, Ecuador será siempre solidario”, advirtió el jefe de la diplomacia ecuatoriana. Pero calificó de “inhumana” la actuación del Gobierno de Venezuela por permitir que millones de personas salgan del país como fruto de una crisis política, económica y social, y expuso la notoria frustración de su país “por la falta de voluntad política, en primer lugar, del Gobierno de Venezuela para abrir las puertas a una solución democrática”. Una crítica hacia Venezuela que ha ido subiendo de tono en los últimos meses, particularmente desde que en junio dejara la cancillería la ministra María Fernanda Espinosa, del ala más izquierdista del Ejecutivo. Bajo el nuevo canciller, el Gobierno de Moreno parece tomar nuevos rumbos en política exterior, lejos de los de su predecesor, Rafael Correa. Aún así, Valencia explicó que Ecuador mantiene “una posición de principios” y que esta no se alinea con los de “ningún grupo en particular en la propuesta de que el problema de los venezolanos sea resuelto entre ellos, en el marco democrático”. También aseguró que la salida de Ecuador de la ALBA no significa la intención de incorporarse a ninguna otra organización de integración regional. La ALBA nació en 2004 como un mecanismo para la cooperación de los países de América Latina y el Caribe basado en la solidaridad y en la complementariedad de las economías nacionales, en una alternativa al Área de Libre Comercio para las Américas (ALCA) impulsada en su momento por Estados Unidos. El ministro indicó en ese sentido que con la decisión de abandonar el bloque lo que se busca es “ratificar la independencia” de su país en “su accionar general en la política regional, un accionar marcado en principios”. Según datos difundidos por la Alto Comisionado de las Naciones Unidas para los Refugiados (Acnur) y la Organización Internacional para las Migraciones (OIM), 2,3 millones de venezolanos están viviendo fuera de su país, de los que más de 1,6 millones lo han abandonado desde el año 2015. “El 90 % se ha dirigido a países suramericanos”, según una nota de prensa. El jefe de la diplomacia ecuatoriana dijo que se trata del “mayor éxodo de personas en la historia reciente de América Latina” y recordó la iniciativa de su país de convocar a una reunión técnica regional los días 17 y 18 de septiembre en Quito. Ello dentro de la creencia, según el ministro, de que “solo una estabilidad democrática (en Venezuela) producirá estabilidad económica que evite la continuación del éxodo de sus ciudadanos”. Y aclaró, al explicar la posición de su país, que Ecuador debe dar una respuesta humanitaria y cabal a una situación que es “emergente e inédita”. En cuanto a la medida de solicitar pasaporte a ciudadanos venezolanos desde el pasado 18 de agosto, acotó que tras una reunión con el viceministro de Exteriores venezolano para América Latina y el Caribe, Alexander Yánez, consideraron necesario la provisión de documentos de viaje. Valencia destacó que la acción de pedir el pasaporte fue comunicada de antemano a Acnur y a la ONU, con el fin de que se pueda verificar la identidad de las personas. En la misma comparecencia, el ministro del Interior, Mauro Toscanini, explicó que “se ha reforzado el control migratorio” en los pasos de “Rumichaca, Huaquillas y Mascarilla”. “Hay 200 policías más en Rumichaca y apoyo policial a los buses que se movilizan con migrantes y siete puntos policiales a lo largo del corredor humanitario”, destacó. Ecuador announced on Thursday its exit from the Bolivarian Alliance for the Peoples of Our America (ALBA) in response to the humanitarian crisis in Venezuela, a country from which progressively has been distancing since Lenin Moreno came to the Presidency. “Ecuador will not continue its participation in the ALBA,” Foreign Minister Jose Valencia announced today in an appearance in which he explained that his country wants to “reinforce” the search for a solution to the political problem in that country and to the massive exodus of Venezuelans. 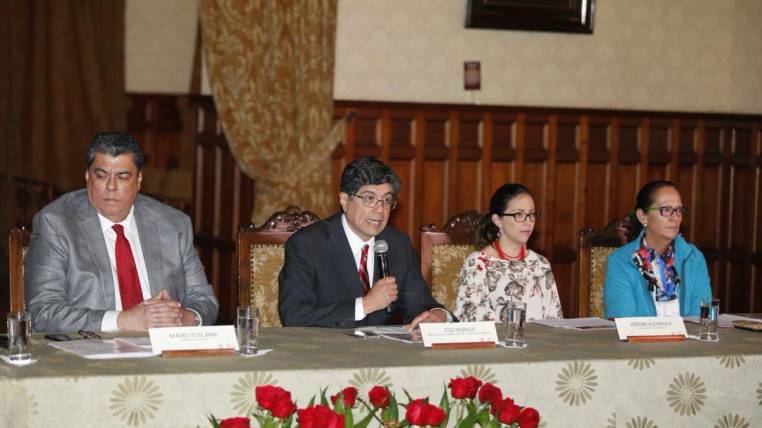 The decision was announced at a meeting of several Ecuadorian ministers with media at the Carondelet Palace, headquarters of the Presidency, which addressed the problem of the massive flow of Venezuelans who have arrived in the country since the beginning of the year. Valencia stressed that it is a problem that can not be “addressed by a country individually”, but requires “a response from all the nations of the region,” and that Ecuador’s exit from ALBA is precisely what it is about. boost that solution. “The departure of Venezuelan citizens from their country is the result of Venezuela’s economic and political crisis. The repercussions are regional, however, Ecuador will always be in solidarity, “warned the head of Ecuadorian diplomacy. But he described as “inhumane” the action of the Venezuelan Government for allowing millions of people to leave the country as a result of a political, economic and social crisis, and exposed the notorious frustration of their country “for the lack of political will, first place, of the Government of Venezuela to open the doors to a democratic solution “. A criticism of Venezuela that has been rising in recent months, particularly since Minister of Foreign Affairs María Fernanda Espinosa left the Foreign Ministry in June, from the most left wing of the Executive. Under the new chancellor, Moreno’s government seems to take new directions in foreign policy, far from those of its predecessor, Rafael Correa. He also assured that the departure of Ecuador from the ALBA does not mean the intention to join any other regional integration organization. ALBA was created in 2004 as a mechanism for the cooperation of the countries of Latin America and the Caribbean based on solidarity and complementarity of national economies, in an alternative to the Free Trade Area for the Americas (FTAA) promoted in its moment for the United States. The minister indicated in that sense that with the decision to leave the bloc, what is being sought is to “ratify the independence” of his country in “its general action in regional politics, an action marked in principles”. According to data released by the United Nations High Commissioner for Refugees (UNHCR) and the International Organization for Migration (IOM), 2.3 million Venezuelans are living outside their country, of which more than 1.6 million they have abandoned it since 2015. “90% has gone to South American countries,” according to a press release. The head of Ecuadorian diplomacy said that it is the “greatest exodus of people in the recent history of Latin America” and recalled the initiative of his country to convene a regional technical meeting on September 17 and 18 in Quito. As for the measure of requesting a passport to Venezuelan citizens since August 18, he said that after a meeting with the Venezuelan deputy foreign minister for Latin America and the Caribbean, Alexander Yánez, they considered it necessary to provide travel documents. Valencia stressed that the action of requesting the passport was communicated in advance to UNHCR and the UN, in order to verify the identity of the persons. 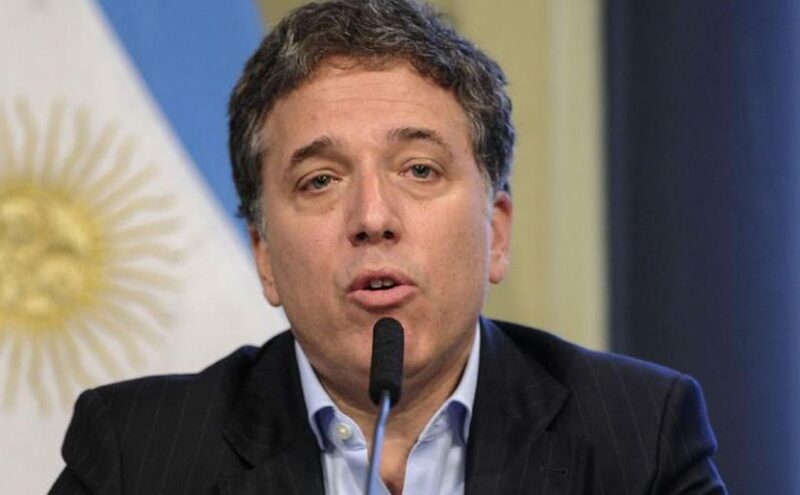 In the same appearance, the Minister of the Interior, Mauro Toscanini, explained that “immigration control has been strengthened” in the steps of “Rumichaca, Huaquillas and Mascarilla”. “There are 200 more policemen in Rumichaca and police support for buses that move with migrants and seven police points along the humanitarian corridor,” he said. 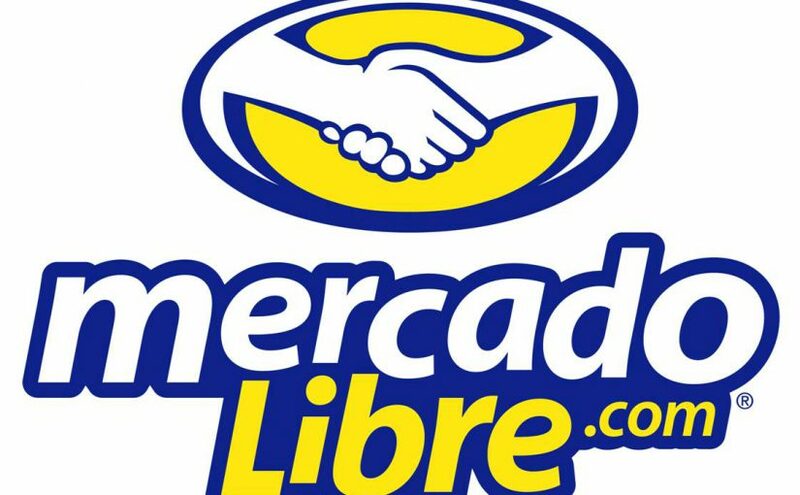 If you live in Latin America and have ever wanted to sell or buy something online, you have probably used Mercado Libre. The electronic commerce portal was created in 1999 by the Argentine Marcos Galperíny and his then partner Hernán Kazah. It was a time in which doing business online still generated distrust and those who dared to try it took a thousand and one precautions when making the exchange. But EBay did not operate then in Latin America. So local alternatives such as Mercado Libre, which allow businesses and individuals to market items in exchange for a commission, had free land. Many did not survive the dot-com crisis or they did not get the volume of users needed to achieve profitability. Mercado Libre, on the other hand, has become the most valued company in Argentina with a market value of US $ 12,400 million. A figure even higher than the US $ 10,000 of the YPF oil company, considered the largest company in the country. This week, the portal marked a new milestone by entering the Nasdaq 100, the US stock index that brings together the most important companies in the industry sector, whether local or international. Galperín, director of Mercado Libre, was an employee of YPF when he decided to go to the United States to take a master’s degree in business administration at the business school of Stanford University. Immersed in the technological culture that surrounds this institution due to its proximity to Silicon Valley, he began working on the creation of Mercado Libre with Kazah before finishing his studies. Yahoo: Why is it going so bad that it was one of the internet giants? After obtaining the funds, they founded the company in Argentina. It spread so rapidly to other countries in Latin America that EBay opted to join it instead of competing, buying shares in 2001, only two years after its birth.